I hate to have to admit this but Raiden V makes a heck of a lot more sense and works a lot better on PS4 than it did on Xbox One. The core game itself is fine on both platforms, don’t misunderstand, but the focus on real time leaderboards and an interactive “Cheer” system never got off the ground on Xbox simply due to not having enough players. On PlayStation 4, on the other hand, there are more than enough active players to make these innovative new features actually function properly and the result is by far the best version of Raiden V you can buy. See all of the details in our full Raiden V: Director’s Cut review. Pros: Fun gameplay; real time score chart; lots of content; cheer system actually works! Raiden V originally released on Xbox One in May 2016 and is now on PS4 and Steam in October 2017 via the Raiden V: Director’s Cut. For the most part it isn’t terribly different from the original XONE release, but there are a handful of extra missions and bonus stages exclusive to the Director’s Cut. This review is going to mostly cover the differences between the two versions, so if you want a more nuts and bolts description of Raiden V pleasesee my original Xbox One review. The most important difference in the PS4 version of Raiden V is that the cheer system actually works. Just to recap, the Cheer system is a real time way for players to interact with each other by cheering each other on when they accomplish specific things. An icon pops up in the upper left corner of the screen when you can cheer someone and by pressing the Triangle button you help them fill a special power meter in their game. Likewise, other players can cheer you as well. On the Xbox One, even on launch day and during the week of launch in May 2016, the most cheers I ever got was maybe 50-60 over the entire course of the game (and made a Let's Play of the game where I only got 4 cheers total ...). Trying to play it on Xbox again this week – the second week of October 2017 – I got zero cheers and only saw one other player online that I could cheer. Playing Raiden V on PlayStation 4, however, was a totally different experience. My first playthrough of the game on PS4, which takes about an hour, earned me 3500 cheers while I was also cheering people constantly myself. 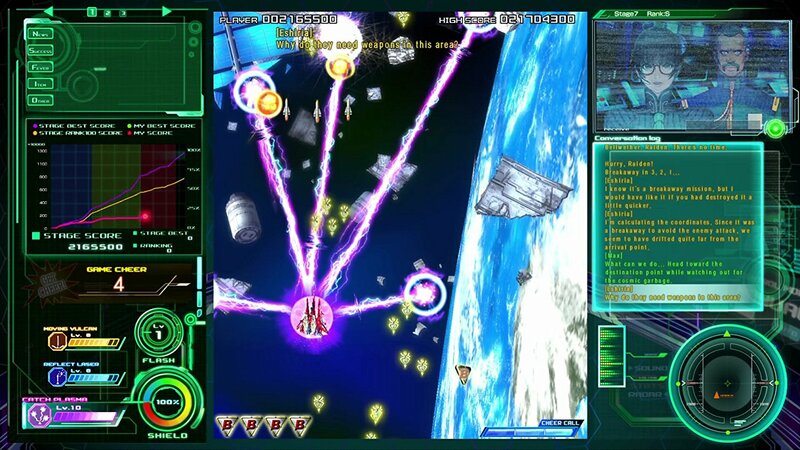 By actually having people cheer you, Raiden V is a fairly different game. The special attacks you can activate when your cheer meter fills can mean the difference between life and death and really help you clear tough sections of levels. On Xbox I could only use the Cheer attacks a handful of times per playthrough. On PS4 you can use them almost continuously. It is crazy. It almost certainly won’t keep up this pace forever, but it will almost assuredly maintain a stronger playerbase purely because of the larger platform install base and exponentially larger Japanese audience on PS4. The larger playerbase also, naturally, means more competitive leaderboards as well. For the most part the rest of the game, good and bad, is the same on PS4 as it was on Xbox One. 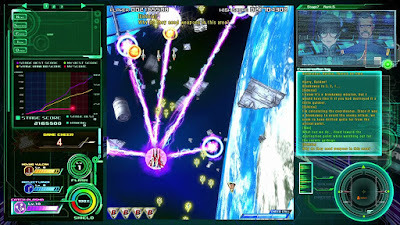 The gameplay is still fantastic and fun shoot-em-up loveliness, of course, but it still has messy visuals that make it hard to tell what is going on through the hail of bullets and special effects onscreen. 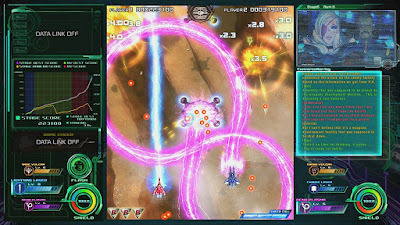 Your shots and enemy shots just blend together and enemies tend to blend in to the background and it is harder to play than a lot of other shmups. Still fun. Still playable. Just not as easy to see as other games. Another slight issue is the bizarre focus on an incomprehensible story told through tiny text on the side of the screen while you’re busy fighting through bullet hell and can’t read it anyway. Overall, though, it is kind of nice to see Raiden V finally live up to it’s potential after sort of being wasted on Xbox One for a year and a half. Leaderboards and the cheer system are such a vital part of the core Raiden V experience and they just didn’t function on Xbox, but they’re alive and well on PS4. One thing that contributed to the Xbox One version’s struggles was it launched at $50, which was kind of nuts and scared off a lot of folks. The Raiden V: Director’s Cut is $35 (download) on PS4, which makes a lot more sense. 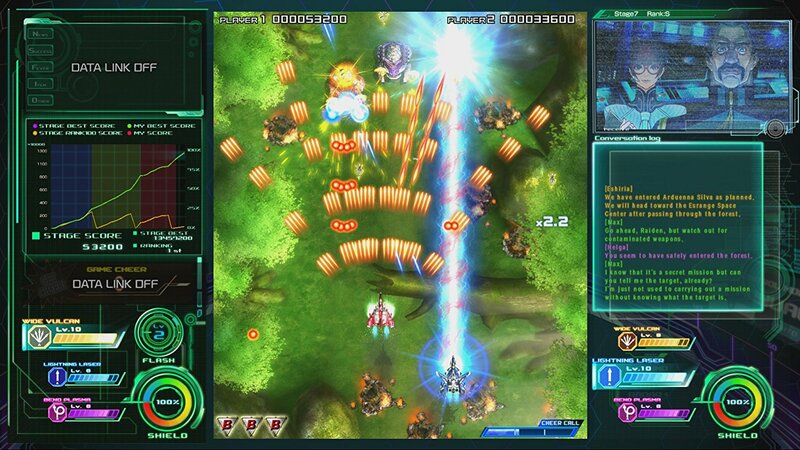 The lower starting price and functional online features on PS4 combined with the already solid gameplay foundation make the Raiden V: Director’s Cut easy to recommend for shoot-em-up fans. Buy it.